An exposure conference for the elite programs “Brakim” and “Silon” took place on January 3, 2017 for selected military service candidates. The Faculty of Aerospace Engineering’s “Silon” program is an excellence program which offers the opportunity to obtain both BSc and MSc degrees (with a research thesis) in nine semesters. Each member in this program is assigned a personal academic advisor from among the faculty members, whose job is to guide the student during his membership in the program. In addition, students are given “academic freedom” in choosing courses from other faculties. 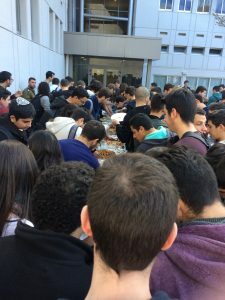 The “Silon” program was built in cooperation with the Academic Reserve (Atuda) program in the IDF. For an Atuda student it includes academic and military training, as well as financial support from the army. 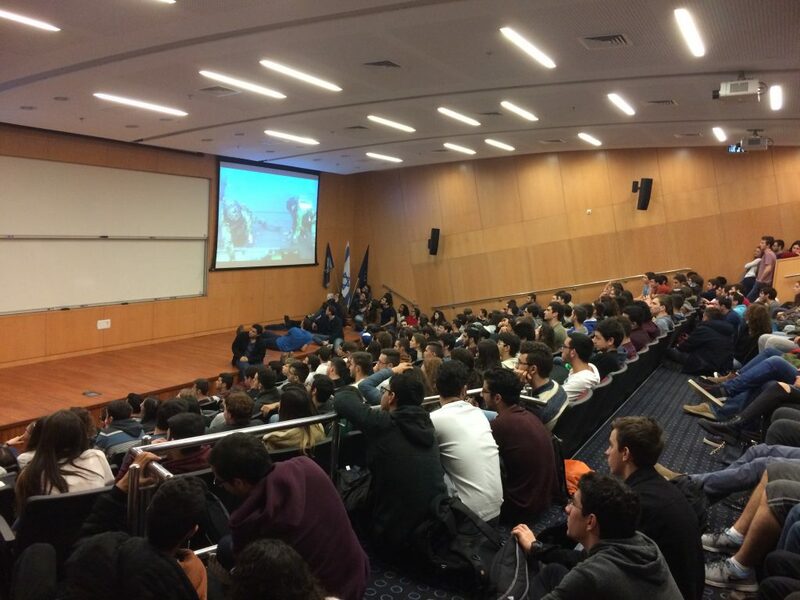 This unique training program educates and promotes its students to become leaders in the R&D departments in the Israeli Air Force and in other unique military units. Graduates of this program are guaranteed to engage in the development of advanced weapons, combat aircraft missile integration, flight tests, UAV development projects, and in a wide variety of other jobs. The many curious candidates who attended the conference were exposed to detailed information regarding the two programs (one in the Faculty of Mechanical Engineering and the other in the Faculty of Aerospace Engineering). 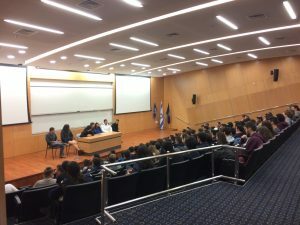 They visited laboratories in both faculties and had the opportunity to direct their questions to students currently participating in these programs. A light lunch was served outdoors on this cold but sunny winter day.